A salsa dancing social organized by Los Salseros de Stanford on the Stanford University campus. This is an all ages that’s open to both students and non-students. The exact location of their social can change from week to week, so be sure to check out their Facebook page for the latest location. The salsa socials organized by the Stanford salsa club are always fun to go to. It's one of the few salsa events going on in the Peninsula on a Saturday, and the social brings out a good mix of Stanford students and locals, beginners and regulars. The venues that the socials are held are really nice, with nice wooden floors and located on the scenic Stanford campus. The only bad thing is if you've never been to the socials before, there's a good chance you may get lost! My advice: keep your gps handy and get ready for a good time. I have SO MUCH fun at the Salseros Socials!!!!!!!! 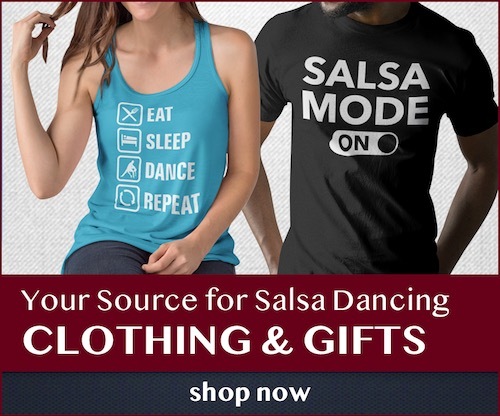 (Yes, I am a little biased, but still…) There is always a really friendly crowd that comes out, including beginners, seasoned salsa addicts, and everyone in between. The social is FREE and completely open to everyone who wants to dance, so there is usually a diverse mix of ages. We have a lot of Stanford students who come to the socials, but also a good mix of people from around the area. Come dance with me!!!! I’ll be at almost all of the socials, getting my salsa fix. We would also love to get feedback about the social, and are very open to suggestions. Is there a certain song you want played? Do you want more/ less bachata merengue and cha cha? Are you and your salsa group interested in performing? Just let us know ;) Send a message on facebook to me (Taylor Kinney) or Los Salseros de Stanford. We usually have a DJ, but we have a live band playing for the last social of the quarter!!! Make sure to come out!!!! Went last night for the first time there and had a blast! Everyone was very friendly. Am really impressed by the calibre of the leaders. Every guy I danced with was an excellent leader. That’s a first for me in four years of steady salsa dancing. Venue is nice, floor is perfect, DJ was great. And all for free. What’s not to like? Thank you Stanford Salseros!